Are you treating all of the patients you can? 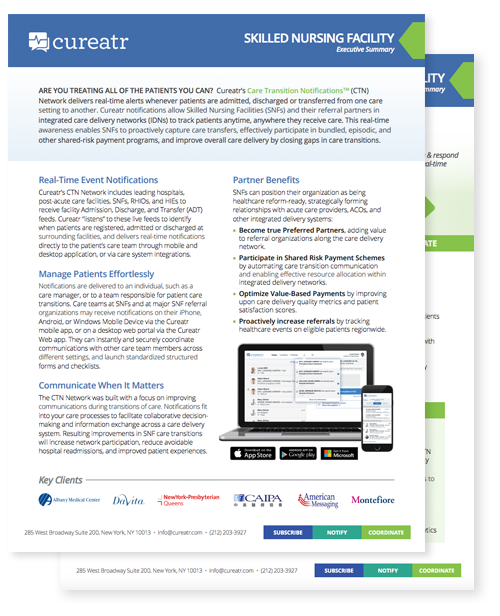 Cureatr Care Transition Notifications (CTN) allow Skilled Nursing Facilities (SNFs) and their referral partners in integrated care delivery networks (IDNs) to track patients anytime, anywhere they receive care. 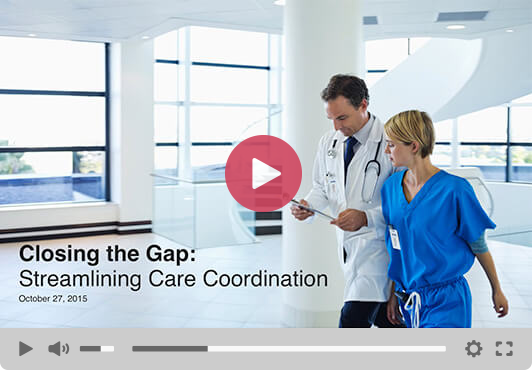 This real-time awareness enables SNFs to proactively capture care transfers, effectively participate in bundled, episodic, and other shared-risk payment programs, and improve overall care delivery by closing gaps in care transitions.